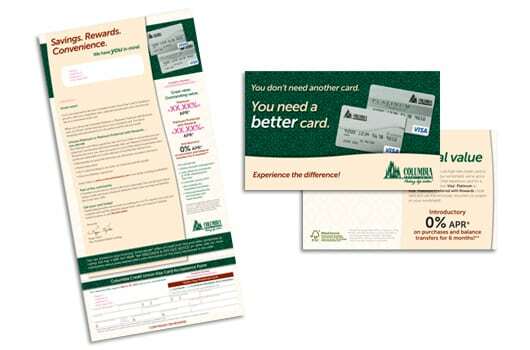 Columbia Credit Union in Vancouver, Washington had sold their card portfolio years earlier and was now ready to re-introduce their new card into their local market. 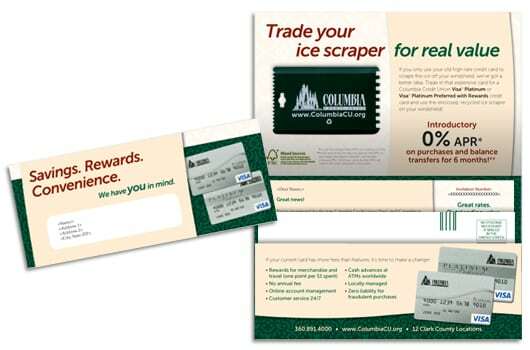 Working with Columbia, we developed a segmented campaign consisting of several different offers to three distinct targets in the local community. Columbia wanted both creativity in concept and package design with eco-sensitive features. 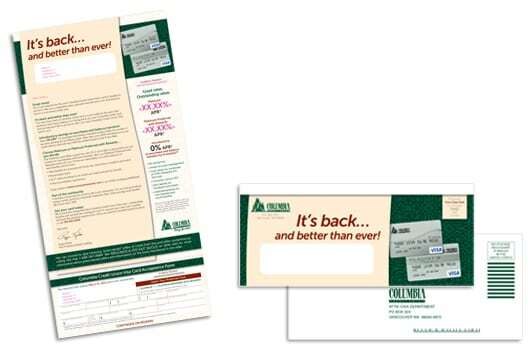 Working closely with our creative and production staffs, we engineered a clever package with powerful creative messaging. And, offered a premium item in the mailing. At the conclusion of the program, Columbia had realized a response rate in excess of 10%!